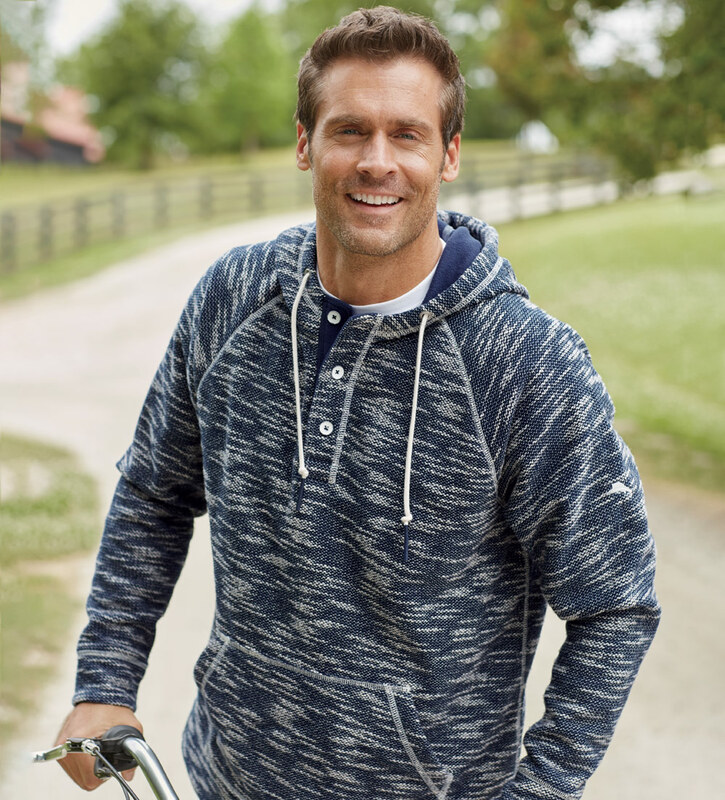 Terry fleece in a rich, yarn-dyed textured look, as comfy as it gets. Long sleeves, drawstring hood, kangaroo pocket, contrast stitching, straight hem with side vents. 86% polyester/14% cotton. Machine wash. Imported.